According to Bank of America’s recent study and its annual homebuyer insights report, it reveals that 72% of the millennials, which the report identified as being born between 1978 and 1995, consider owning a home a “top priority” — more over than traveling (61%), getting married (50%), or having children (40%). Therefore, selling a house to millennials may be a better option to client prospecting for that matter. Trends nowadays, show that home buyers from this generation are gradually increasing. 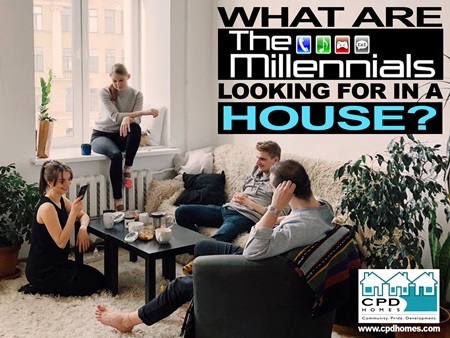 Applying the Generational Difference in marketing approach for Real Estate industry, we can identify what exactly are the millennials looking for in a house and how to sell them fast! But before selling a house to millennials, it is important for marketers to know their segmented qualities. This generation are known to be more open-minded about tasks around the home, and won’t be too picky when it comes to homes that need work. They won’t mind the extra costs for luxuries in getting a new home, in general. The Millennials would prefer to collaborate, communicate and tag along with their friends and those in the same era. Marketers must reach out to them through word of mouth, online groups, etc. Therefore, real estate agents must be aware of these qualities before selling a house to millennials. By the way, millennials have long been touted as the generation that prefers city living over suburbs, so agents must know what to offer. Millennials want lots of glass and stone as Designs Trend in Bathrooms. It is important for real estate agents to recognize these segmented qualities before selling a house to millennials. And if you wanted to know more about this topic, you may contact us at CPD Homes through our landline at 216-282-4332, or shoot me an email at wendy@cpdhomes.com ! We’ll be more than happy to assist you about any concerns on selling a house to millennials. – FAST!